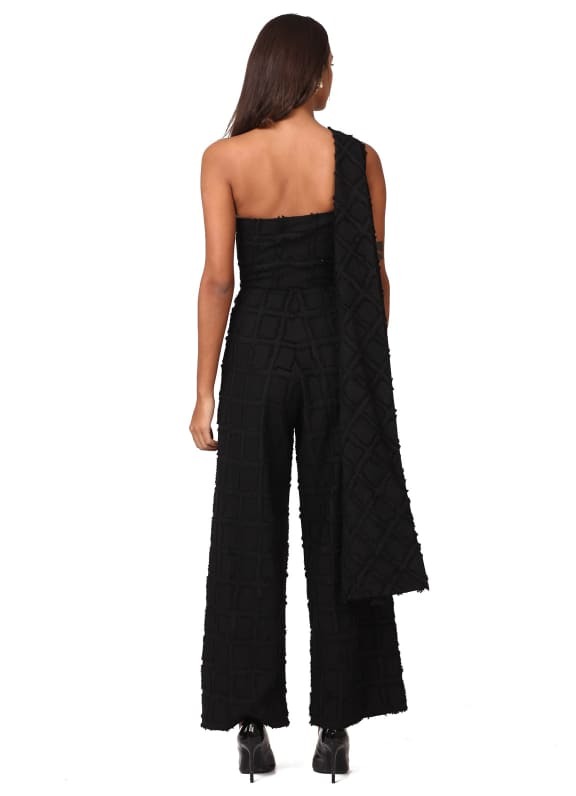 Featuring a black jumpsuit in textured poly fabric with an attached trail. 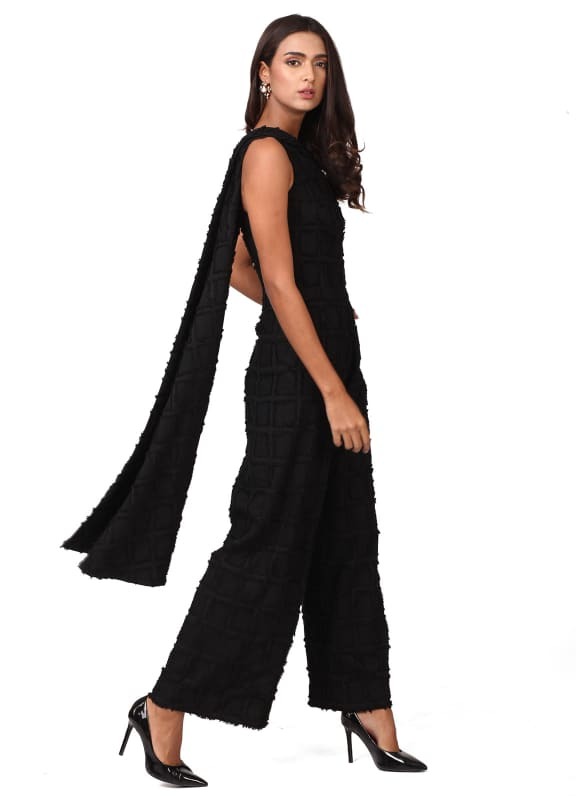 This textured jumpsuit will make everyone around envy you! Complete your look with a pair of Micare earrings.